Limitless pure, fresh water, on-tap. After the water entering your home is initially treated by the Westinghouse whole house refiner it is then polished even further. The Westinghouse® Drinking Water System incorporates several stages of advanced treatment that deliver fresh, purified water on demand, which is conveniently dispensed from a special faucet installed at your kitchen sink. The technology at work is impressive, removing nearly all of the remaining contaminants in your water. You are left with nothing but pure, clean, fresh tasting water to enjoy. If you’re buying bottled water, you can stop. If you’re relying on faucet or refrigerator filters, this is a new level of purity. 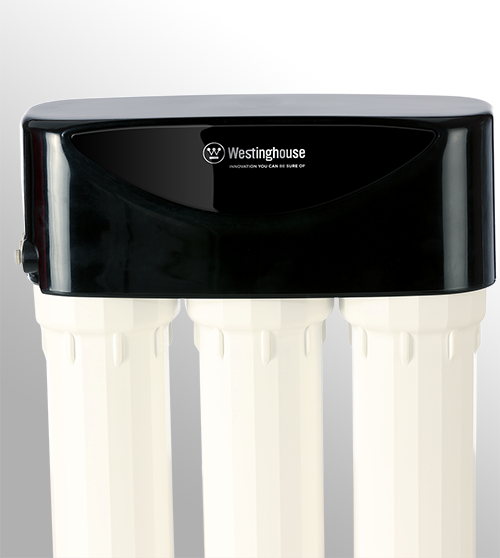 The Westinghouse Drinking Water System provides a limitless supply of higher quality water than all these filtering methods combined. You and your family deserve the best – Westinghouse provides it.